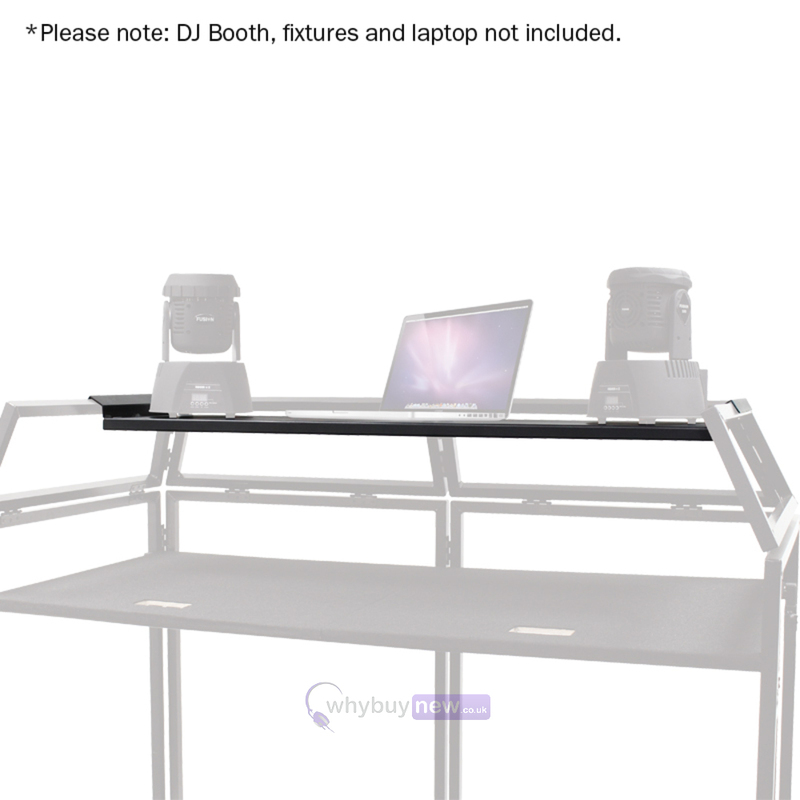 The Equinox DJ Booth Laptop Shelf is ideal for your laptop and small moving head fixtures. The shelf is the perfect addition to your DJ Booth and will fit onto the top rail of the DJ Booth system. It requires no additional fixings, this shelf just fits in for quick assembly. 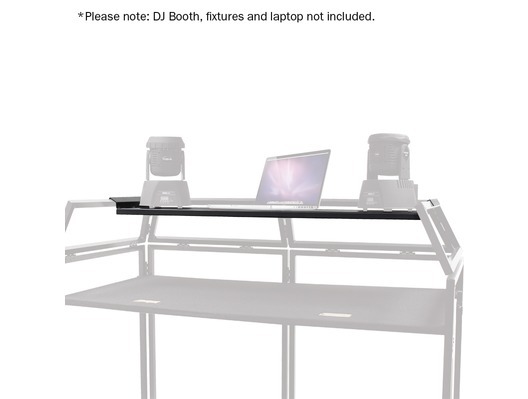 This handy shelf fits the Equinox DJ Booth, Gorilla DBS DJ Booth (including aluminium versions). Brought this to go with the gorilla booth fits very well and makes for a perfect place for the laptop and 2 moving heads. Fantastic quality and looks amazing. I have put two moving heads on the shelf and people have already complemented on how nice it looks. This fits equinox booths and gorilla dj pro booths too. I would recommend putting rubber strips on the clip part to prevent it from sliding or moving though. But still 5/5 stars. Bought this to go with the Equinox Booth and it gives me much more room on the shelf.